Please join Steelworkers in Quebec in supporting the domestic workers’ rights campaign by the Centre for International Worker Solidarity (Centre international de solidarité ouvrière – CISO). It’s time for Canada to ratify the 2011 International Labour Organization’s (ILO) Domestic Workers Convention. 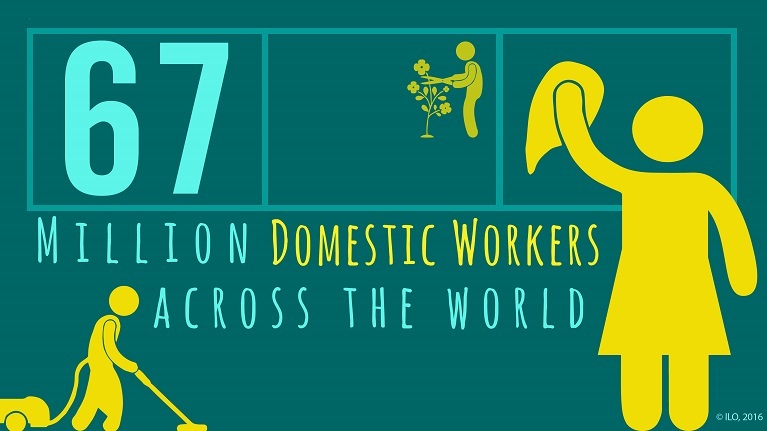 “Domestic work continues to be undervalued and invisible and is mainly carried out by women and girls, many of whom are migrants or members of disadvantaged communities and who are particularly vulnerable to discrimination in respect of conditions of employment and of work, and to other abuses of human rights,” says the ILO convention. Canada supported the development of the convention but has yet to ratify it. Domestic workers are subject to abusive recruiting tactics, reduced mobility and work in a sector with low union representation, making it even harder to improve working conditions. The campaign estimates that almost 150,000 workers in Canada are employed as domestic workers, most of whom are immigrant women in precarious work situations. This is a human rights issue! Support women workers, migrant workers and join the Quebec Steelworkers solidarity campaign for the rights of domestic workers. Please sign this parliamentary petition before July 5.